Throughout the month of October, several New York City’s restaurants will be celebrating the current 2008 grape harvest by featuring New York wines by the glass. 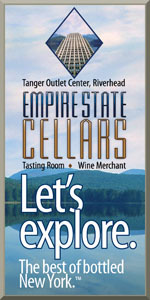 And, several wine shops which will be showcasing New York wines during October as well. It’s all part of the New York Wines & Dines (thankfully they have a new website this year) celebration. This is a program that always has loads of potential, but because I don't make it into the city very often, I can't say first hand how successful it is. If anyone has any opinions, I'd love to hear them. 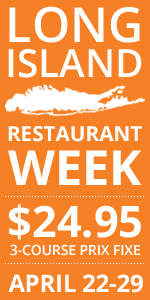 The potential is certainly there... if this month-long event can generate enough interest in local wines that the restaurants and wine shops continue to carry and sell NY wines after October 31. A one-month burst is nice, but the end goal has to be longer-term promotion and demand generation.